Your purchase is helping Expedition Art and Saving Species purchase land in Sumatra! Learn more about the project. The African Elephant is also known as the Savannah Elephant or African Bush Elephant. 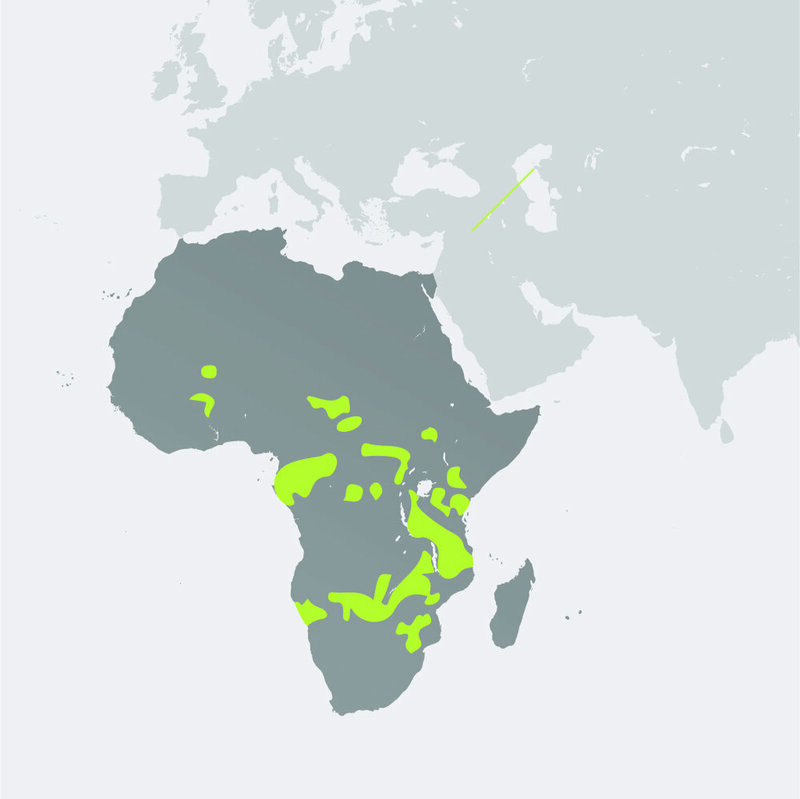 The savanna elephant's habitat is usually savannas or grasslands. They live in all of sub-Saharan Africa, except for Central Africa’s dense tropical forest. In the savanna subspecies, each family unit usually consists of around 10 females and their calves. Bulls associate with the herd only during mating. Several family units often join together to form a “clan” consisting of up to several hundred members. These elephants live for 60-70 years. Savanna elephants are herbivores, and feed on grasses, fruits, tree leaves, bark, shrubs, and vines. Their selection varies depending on the time of year--during the rainy season they will feed more on grass than during the dry season. Africa now has 352,271 savanna elephants left in 93% of the species' range. While the overall elephant picture is bleak, it varies greatly from country to country and from ecosystem to ecosystem. 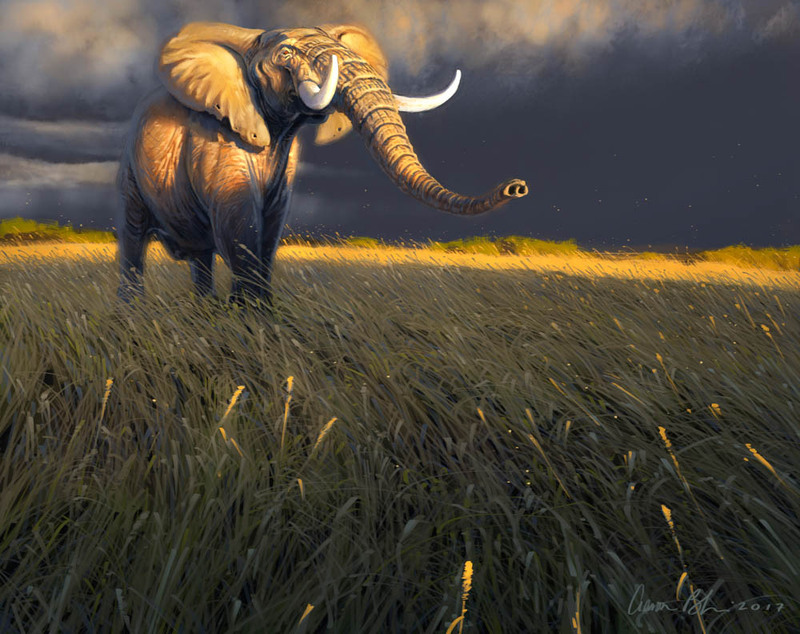 The Savannah Elephant is the largest and heaviest land animal -- weighing up to 10,000 pounds 12 feet tall. Elephants are also considered to be highly intelligent and emotional -- displaying behaviors that include giving and receiving love, caring deeply for the young and grieving for dead relatives. The elephant’s trunk is very flexible and alone contains as many as 100,000 different muscles. Today, although recovering, Savannah Elephant populations are still threatened from increasing levels of illegal poaching and habitat destruction. Deforestation means that the Savannah Elephant lose both their food and shelter--making them more vulnerable. African elephants are vulnerable because poachers and hunters kill them for their ivory tusks to sell on the black market.